Inspection Ready Black Beret With Flash | BUDK.com - Knives & Swords At The Lowest Prices! 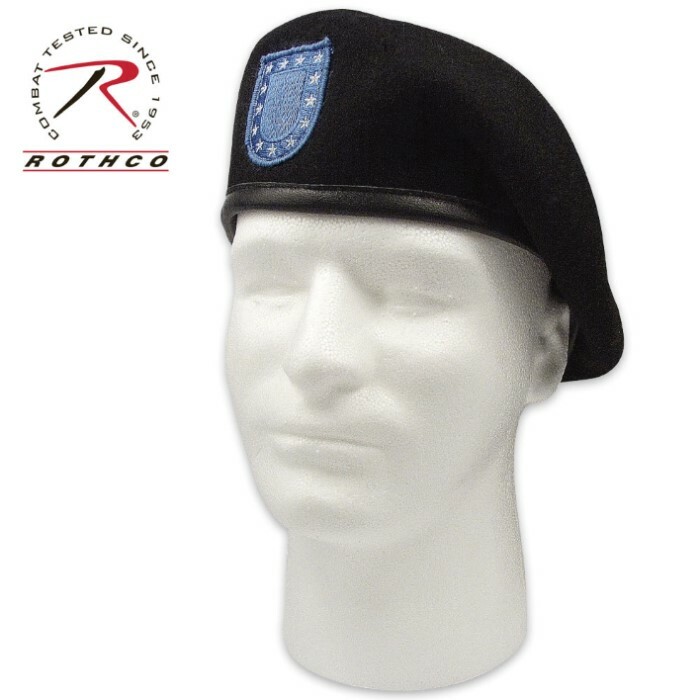 You will definitely be “ready for inspection” when you get Rothco’s GI Beret, which is made to military specifications. It is a neat and tight-looking piece because it has been pre-shaven and features a leather trim. This beret has no eyelets. It comes in sizes 7, 7 1/4 and 7 1/2.